Desk Name Plate Project 2017 by mfritz is licensed under the Creative Commons - Attribution license. 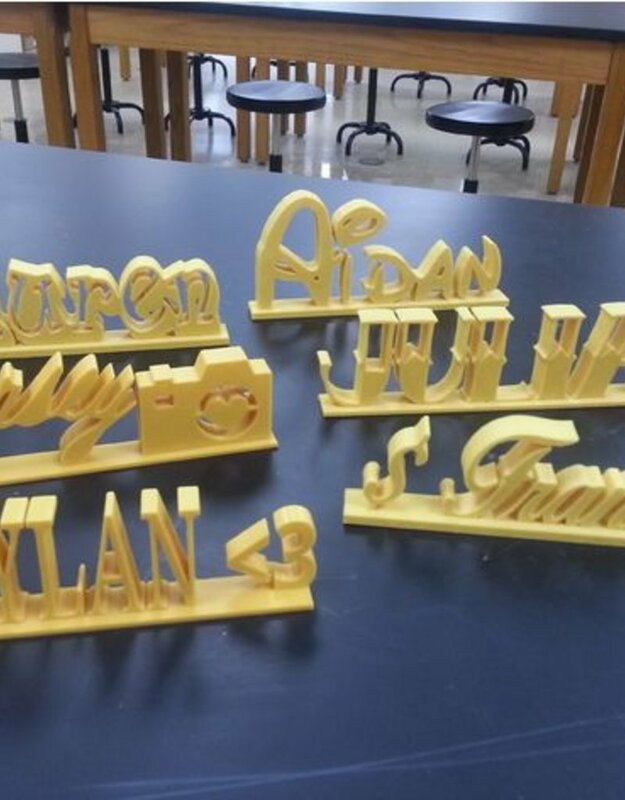 In this project students create a name plate that can be put on a desk or table. This project was completed with an 8th grade class. They made personalized name plates which were used to identify their artwork at an exhibition. 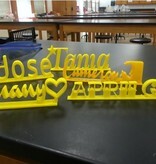 Students might also create name plates for teachers or parents. Student created models are included here as examples. 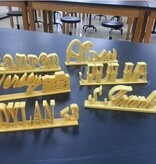 In this project 8th grade students made personalized name plates that could stand on a desk or table. The name plates were used to identify student art work at an end of the year exhibition. This is an easy project to design and print and would be a good beginner project. 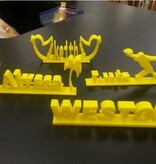 Students create their name in Tinkercad. 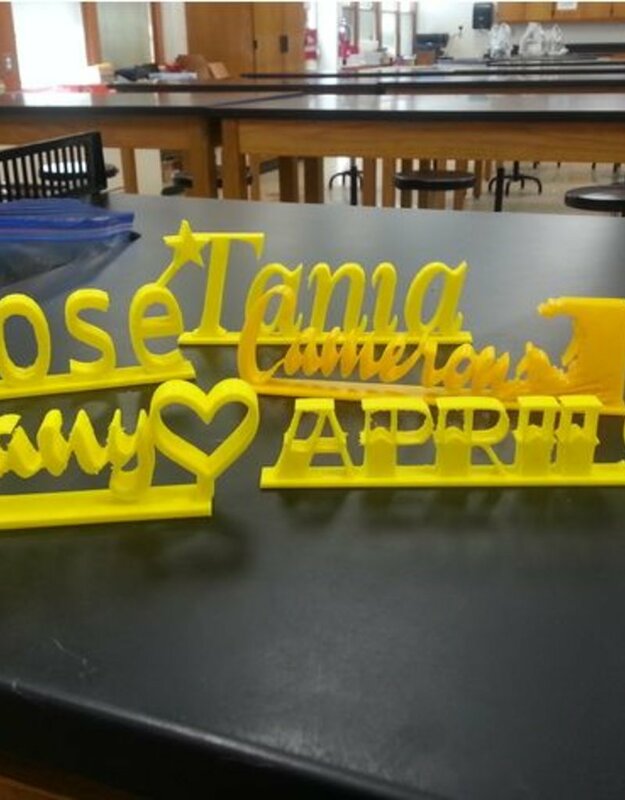 They can use the text editor in Tinkercad or use a text generator like https://www.font-generator.com/ or draw it and convert it to SVG to import into Tinkercad. Students can add shapes to the name if the wish. 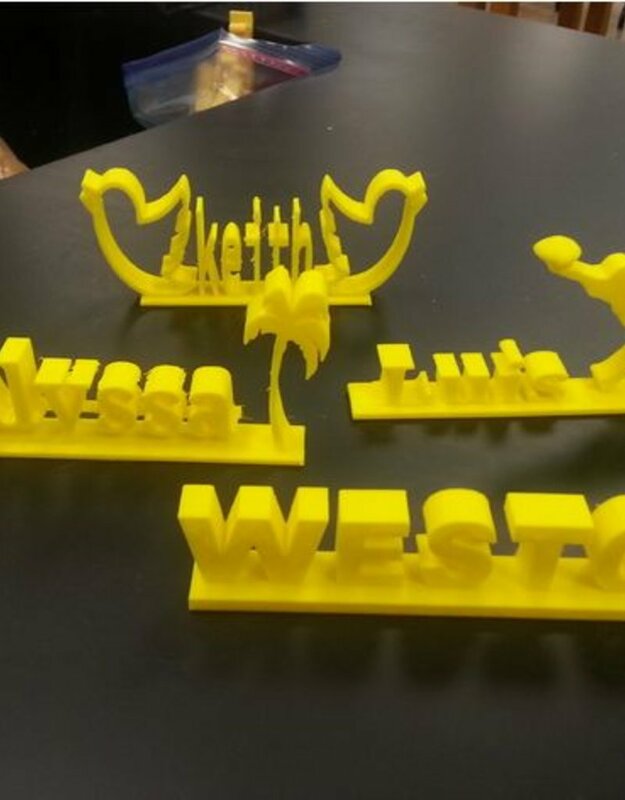 These can be made out of shapes on Tinkercad or a silhouette image can be found or drawn and converted to SVG and imported into Tinkercad. Add a base to the text and shapes so it will stand up on a flat surface. A base that is 20 mm wide, and text / shapes with a width of 15 mm works well. Note that since name plates will be printed on their side these widths refer to the z-direction when designing on Tinkercad. Check that the model is ready for printing. Make sure that the letters and shapes are connected to the base and free standing parts (the dot on an i for example) are connected to the rest of the model. It's helpful to have an example model printed already when explaining the project to the students.